Following their escape from Winterfell, Sansa Stark journeys to the Wall, while Theon Greyjoy returns to the Iron Islands. In Winterfell, Ramsay Bolton secures his claim on the North by killing Roose and Walda Bolton and his new-born half-brother. 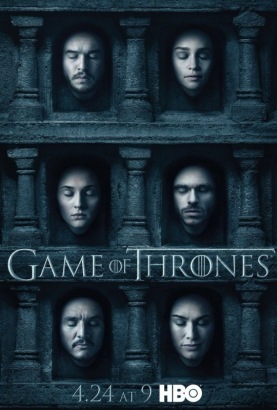 At the Wall, Melisandre resurrects Jon Snow, who is reunited with Sansa; they gather loyalists and a battle ensues. Aided by the Knights of the Vale, the Starks defeat the Bolton forces. Sansa feeds Ramsay to his hounds and Jon is proclaimed the King in the North. S06 E10: The Winds of Winter.